This is a wonderful family home and great for entertaining on the lovely patio. 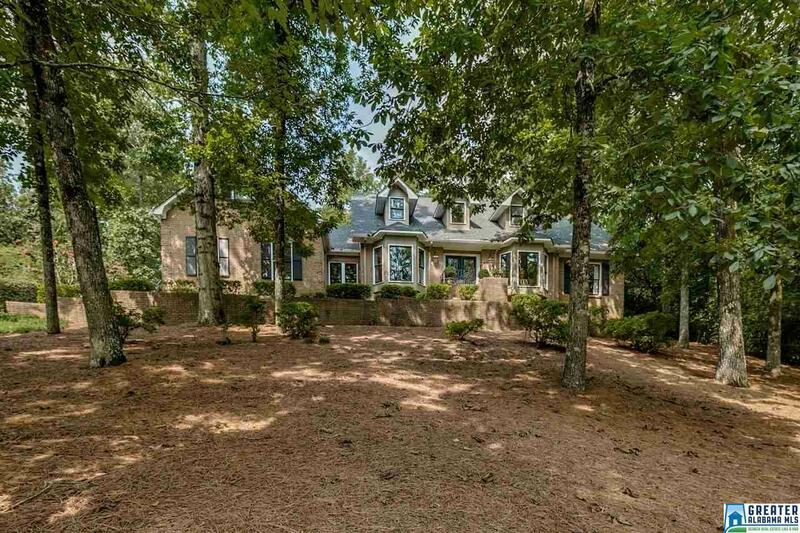 The lot is very private and the location is convenient to shopping and Vestavia High School. The master is on the main level and there are only a few steps in the garage to the office/sunroom. The separate Living Room and Dining Room both have a bay window to enjoy the view. The Kitchen has an eat-in area and features double ovens, an island, and a built-in desk. The Family Room has a fireplace and built-in bookcase as well as a wet bar for entertaining. The Master Bedroom is large and has a built-in bookcase and a separate tub and shower in the bath. Upstairs there are 3 additional Bedrooms and 2 baths. The Playroom/workout Room is located over the garage. There is a oversized patio with beautiful gardens for entertaining or merely enjoying with the family. There is not a flat grassy area for play but the large patio is also perfect for little ones to ride their toys and play. Driving Directions: Rocky Ridge Road Turn Into Tanglewood Brook On Tanglewood Brook Lane. 2nd House On Right.